What do you do when December temperatures in Florida refuse to drop below 80 degrees? Stop fighting it and embrace it! After weeks of wishing for cooler temps, Emily (who was freezing in NYC) and I decided to embrace the heat and celebrate the end of the semester with a little vacation to Palm Beach. Why Palm Beach? 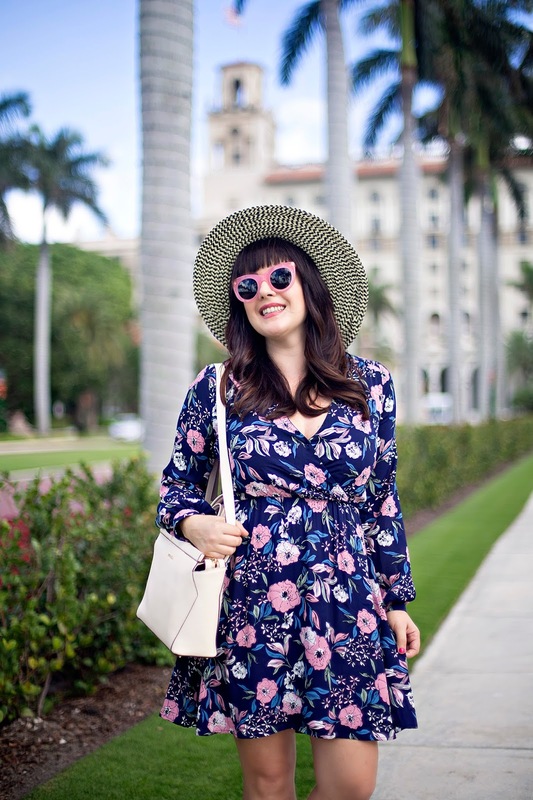 Well it does not get much cuter and preppier than Palm Beach. It is after all where Lilly Pulitzer started her infamous juice stand and line of colorful dresses. The island is small but packed with history and charm. 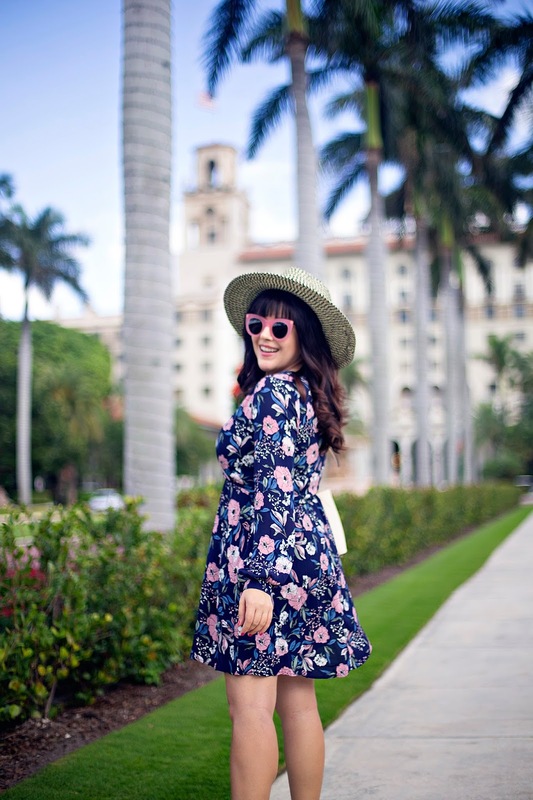 Palm Beach was originally established as a resort town by Railroad tycoon Henry Flagler. It was the turn of the 20th century and the railroads brought an influx of capital and well-to-do residents to the area. Famous tycoons and constant parties lured wealthy "northerners" to Palm Beach for the winter social season. The resort boomed and Flagler built himself a stunning mansion (now the Flagler Museum) to go along with his two nearby luxury hotels. Sadly, only one of these hotels survives today -- The Breakers. True to its history, however, The Breakers remains an exclusive and glamorous resort even today. 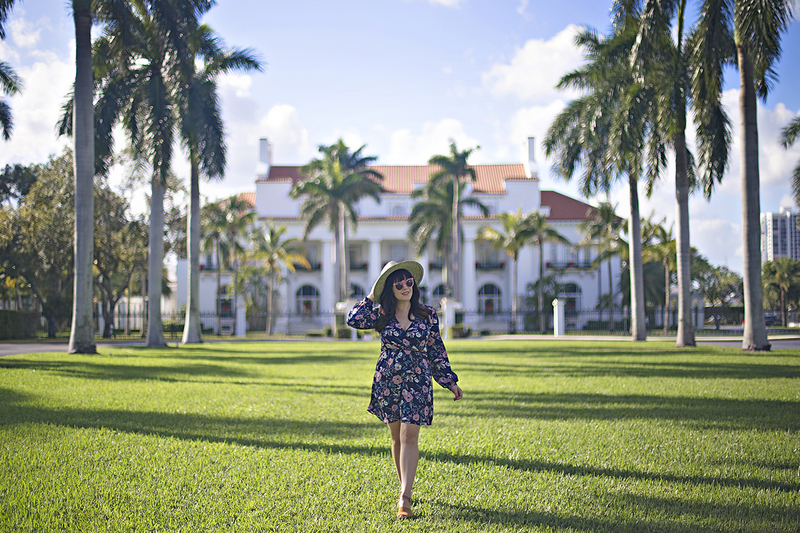 If you are going to visit Palm Beach, the Flagler Mansion (museum) and The Breakers are both a must-see. 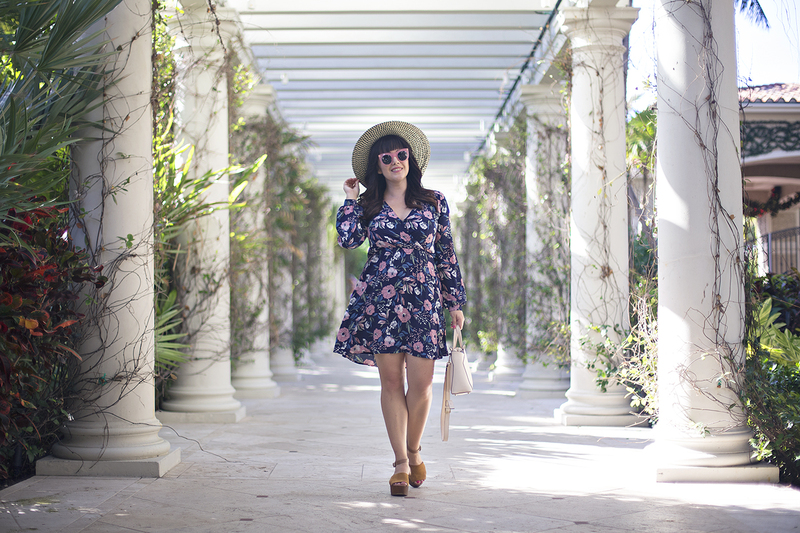 Even if you don't stay at The Breakers (it is pricey, and we definitely did not), the stunning and massive property is well worth a stroll. 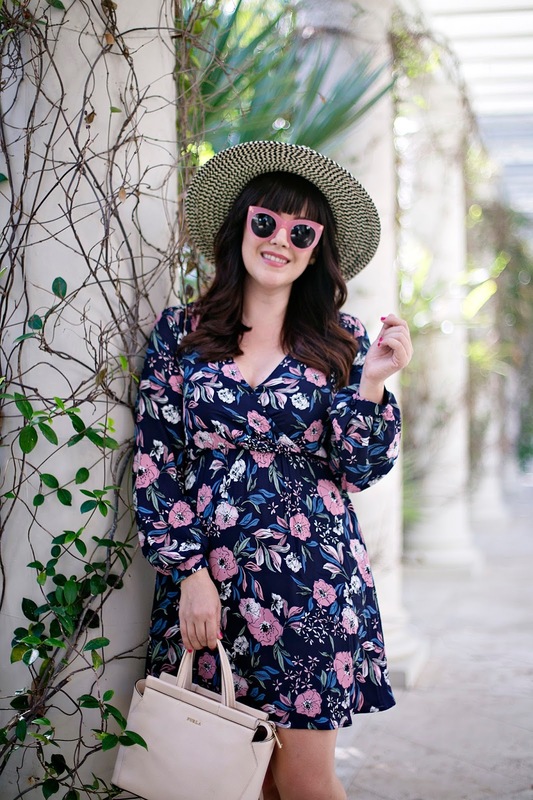 For a day of strolling both sights, I wore this flowy wrap dress that I scored at Nordstrom for under $50! Have you visited Palm Beach? What is your favorite winter resort?